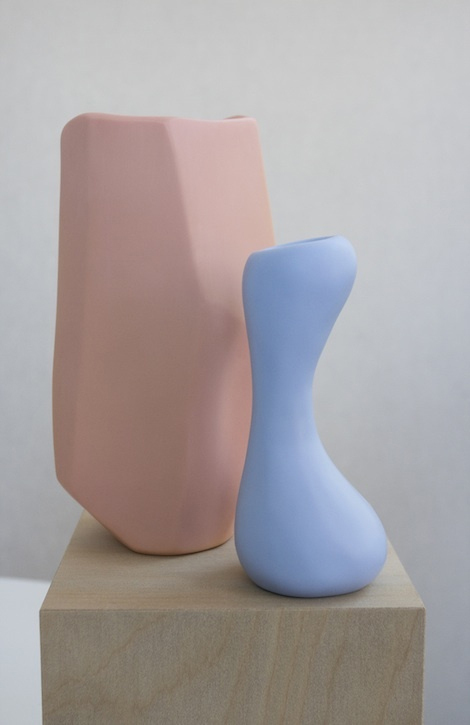 Sculptural Sorbet Resin Vases by Dinosaur Designs. Dinosaur Designs takes responsibility for their environmental footprint and support environmentally sustainable initiatives and charitable organizations. In 1987 Dinosaur Designs established a studio in Sydney’s Kings Cross, Australia and began to wholesale their painted resin creations to retail outlets in Sydney and Melbourne. In 2002 they opened their first international store in Nolita, New York.